A comfortable bed will bring you pleasure whenever you see it…and sink into it! 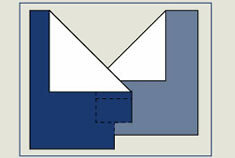 Our first-of-its-kind, unique, patented "split-top" flat sheet is split down the middle and connected toward the foot of the bed. Each side offers independent movement and freedom, providing sleep partners with their own personal sheets and bringing peaceful, undisturbed sleep to couples everywhere. It's estimated that we spend about a third of our lives asleep – that's over 200,000 hours! So, you may want to share your bed, however, you do not want to share your covers. We spend so much time in bed that it's important to choose sheets that are comfortable and durable. 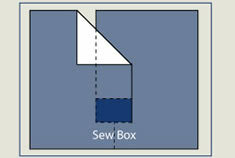 DoubleUps for Beds is one of the only bedding systems that TRULY accommodate all styles of adjustable beds. 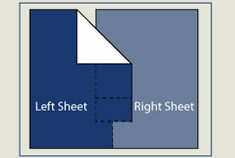 Most adjustable bed sheets pull, grow air pockets or just don't fit. When one side goes up and the other side stays down, DoubleUps will stay in place without under-the-covers air pockets…we go with the flow. Our wide array of sizes, drops and specialty orders help make your adjustable bed, a comfortable bed. Conventional sheets will just not stay on an adjustable mattress! We specialize in sheets sets for all styles of adjustable beds! 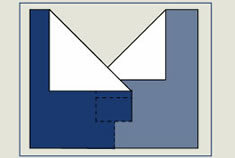 Our fitted bottoms for adjustable beds are available in 200, 350, and 600 thread counts custom made with 4 drops (8, 10, 13, and 15") with wings (extra fabric) in the middle to keep the fitted sheet in place, accommodating the flex of your adjustable bed. This assures that your bottom fitted sheet will remain in place while the mattress is in motion. Top sheet and pillowcases are embellished with a coordinating satin or silk ribbon trim. Choose you bed type first, and then move through the choices to your desired selection. 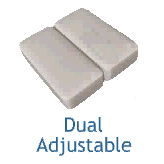 Dual bottom adjustable beds are one of the more common types of adjustable beds. Dual bottom adjustable beds are side by side mattresses on one frame, allowing dual functionality for both sides of the bed. Most bed manufacturers in today's market, such as Select Comfort, Tempur-Pedic and many conventional mattress companies, make this type of adjustable bed. Finally, sheets that will fit and stay in place when your adjustable mattress is in motion! Our sheet sets for dual bottom adjustable beds are custom made with only the finest collection of cotton and fabric available. A beautiful 350 Thread Count 100% Combed Pima Cotton fabric. Luxury linen with a soft, crisp finish. Available in 200, 350 and 600 thread count, rich beautiful colors, and four different drops. 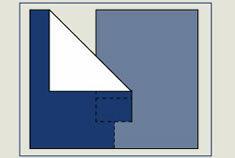 **If you have a foam or square cornered mattress, please add and extra inch to your drop selection. Check out Why DoubleUps for Beds to see how DoubleUps for Beds is the perfect solution for you! Share your bed, not your covers. You will sleep better! Pick One... 8" 10" 13" 15"